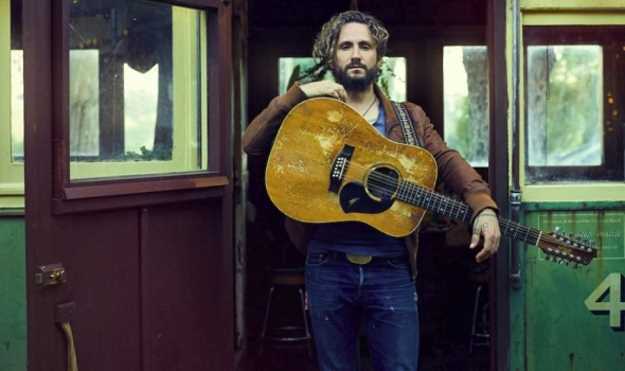 John Butler, frontman and songwriter for the chart-topping Australian alternative rock act John Butler Trio, has struck a multi-territory administration deal with Downtown Music Publishing, Billboard can exclusively reveal. Through this new arrangement, Downtown will administer more than 100 compositions from the indie outfit's celebrated catalogue, including future works. The development follows on the heels of JBT's seventh studio album release, Home, which dropped Sept. 28, the first through a new deal with Nettwerk Records in north America. Earlier, Home bowed at No. 1 on the ARIA Albums Chart (via Jarrah/MGM), their sixth top ten and fourth leader Down Under following April Uprising (2010), Grand National (2007) and Sunrise Over Sea (2004). Three JBT albums have impacted the Billboard 200, led by April Uprising, which peaked at No. 36. With John Butler leading from the front -- a fearsome guitarist, singer and tireless environmentalist -- the trio has received multiple awards, including APRA's coveted song of the year in 2004 for "Zebra" and a stack of ARIA Awards, including best blues & roots album for 2014's Flesh & Blood. "I'm stoked to start this new era with Downtown Music Publishing," comments Butler. "I'm really looking forward to working with all the talented team and sharing my new album Home as far and wide as possible. A definition of 'luck' I once heard from a colleague goes something like this: luck is when preparedness meets opportunity - so good luck to us all." NYC-based Downtown continues to spread its wings, by expanding its operations with affiliates in France and Australia. The Sydney office is led by creative director and head of sync Rachel Kelly, who is responsible for building the brand and catalogue on both sides of the Tasman, signing and developing local songwriters, artists and producers, and more efficiently collecting songwriting royalties. John Butler is "an immensely talented artist, songwriter, musician, and wonderful person. Home is a masterpiece - his finest songwriting to date. We're so honored that John has chosen Downtown to represent his music around the globe," added Kelly on the new signing. JBT is currently on the road in the U.K., with live dates to come in Europe, North America and a homecoming jaunt during the southern summer, which will see the band performing at the iconic Sydney Opera House forecourt.